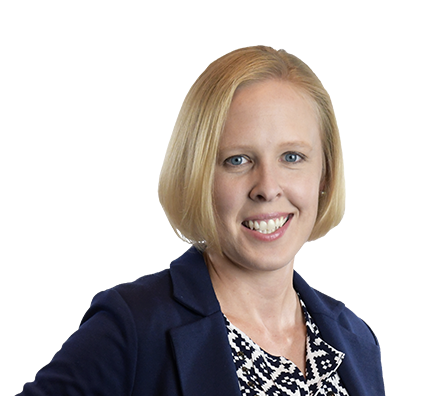 Kate brings an unusual skill set to her practice: a combination of broad transactional corporate law experience and deep knowledge of the healthcare industry and securities laws. Kate advises clients, from startups to long-established businesses, on mergers and acquisitions, venture capital financing, public and private placement of securities, commercial contract drafting and negotiation, and general corporate law. She also provides general counsel to numerous high-growth, early-stage and scalable companies. She counsels healthcare clients on regulatory compliance, privacy law and general business matters as well. Kate values serving as both legal counsel and business advisor, helping clients set priorities and deploy personnel within budget. Watching companies change and grow through transactions she has guided gives her deep satisfaction. Advised emerging businesses on entity formation, articles and bylaws, shareholder or investor agreements, operating agreements, joint ventures, governance issues and financing transactions. Participated in numerous purchase and sale transactions, including acquisitions of portfolio companies for private equity firms and mergers of high-growth companies. Managed regular Securities and Exchange Commission (SEC) reporting obligations of publicly traded companies and advised on SEC compliance issues. Assisted privately held clients in raising capital with private offerings of securities pursuant to various exemptions from registration under the Securities Act of 1933 and state securities laws. Advised clients on data privacy and security, data breaches and e-commerce compliance. Managed several large-scale commercial contract review projects in which attorney teams leverage state-of-the-art software to draft and implement template agreements and a client-specific contract review platform and process. Advised health systems, hospitals, academic medical centers, group practices, surgery centers, imaging centers, fitness and wellness businesses and healthcare technology companies on business structure and governance, contract negotiation and drafting, medical staff and clinical care issues, HIPAA and consumer privacy concerns, licensure and scope of practice, clinical trials and institutional review board (IRB) compliance, and regulatory compliance matters (including Medicare, Medicaid, Stark and Anti-Kickback). Represented health systems in the acquisition and divestiture of hospitals, ambulatory surgery centers and imaging centers. Advised on strategic alignment options between physician groups and private equity investors, taking the form of management agreement arrangements, stock sale transactions and asset sale transactions. Served as legal counsel to a health system's institutional review board (IRB). Attended IRB meetings; provided legal guidance; reviewed clinical trial agreements and reviewed IRB fee agreements, business associate agreements and nondisclosure agreements. Served as legal counsel to academic medical center's joint venture entities, including independent diagnostic testing facility, fertility clinic and ambulatory surgery centers. Represented health insurance company in launch of new health insurance plan that was joint venture with health system. Served key role in strategic planning and ultimate corporate structuring of new venture, drafted all corporate and transaction-related documents, and supported internal legal counsel on regulatory approval matters. Advised CULedger, a technology startup that brings blockchain solutions to the credit union industry, on corporate organization, operating agreement, private placement memo, and licensing and other technology agreements. Missouri Medicine: Call Coverage Rates: What's Driving that Number? Speaker, Startup Milwaukee Week, "In Growth Mode? 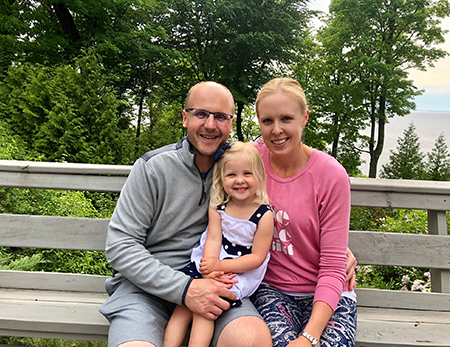 What Early Stage Companies Need to Know About Raising Capital"
Fitness-minded, Kate does strength training, runs about 30 miles a week and plays golf. She has a young daughter with whom she enjoys arts and crafts; family and friends receive lots of homemade gifts. She is also an avid reader and finds biographies and autobiographies especially worthwhile.